Honey Honey, how you thrill me ah-hah, honey honey! This is definitely a honey to make a song and dance about! 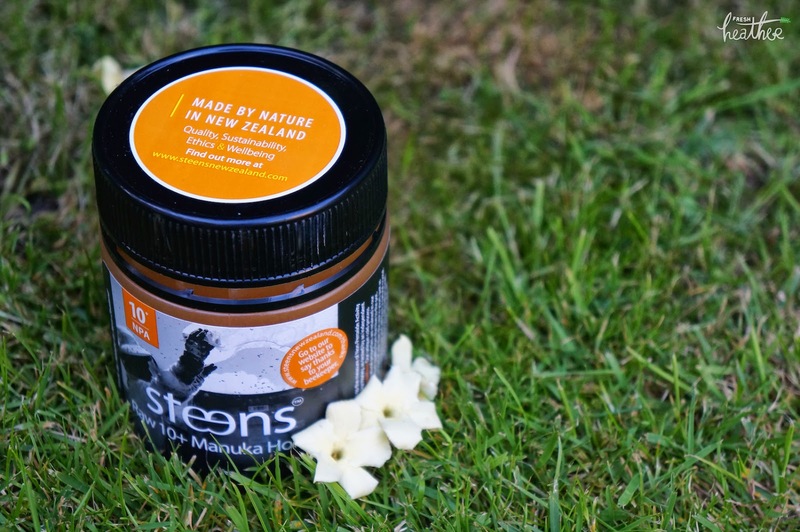 Manuka Honey is produced in New Zealand by the bees that pollinate the native manuka bush. 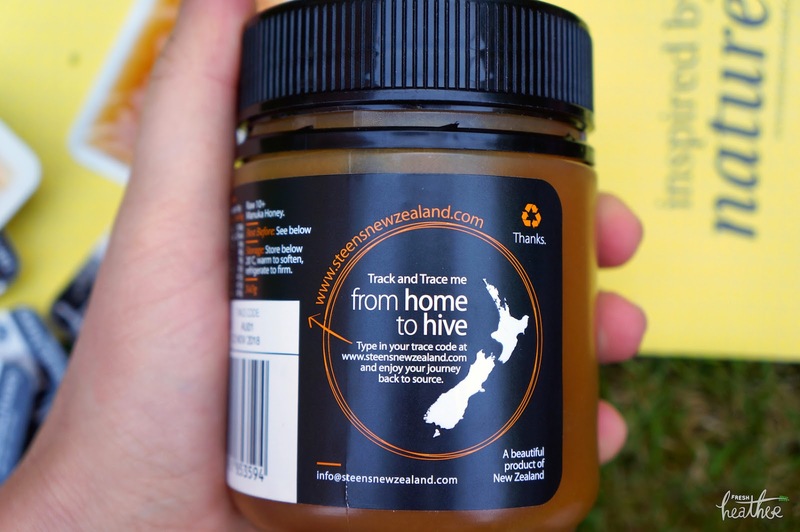 What makes is different from regular honey is the fact that it has so many healing, antibacterial properties. 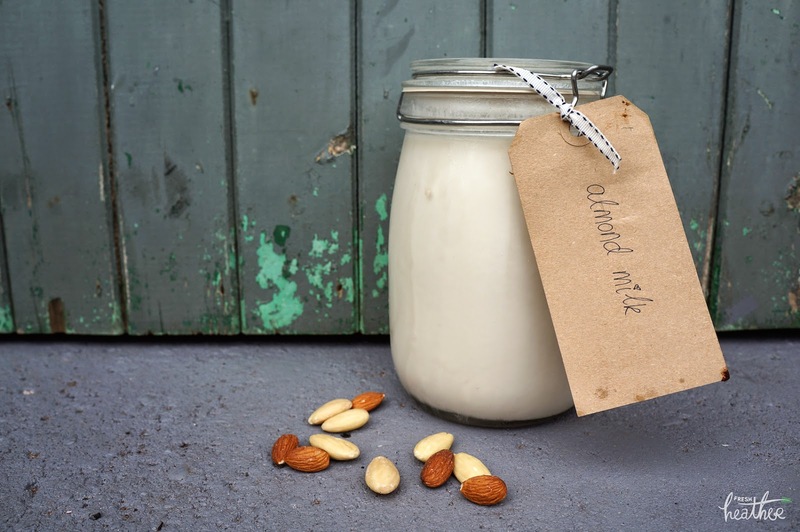 The potential as an antibiotic, anti-inflammatory and antioxidant makes it a key ingredient in health and wellbeing! 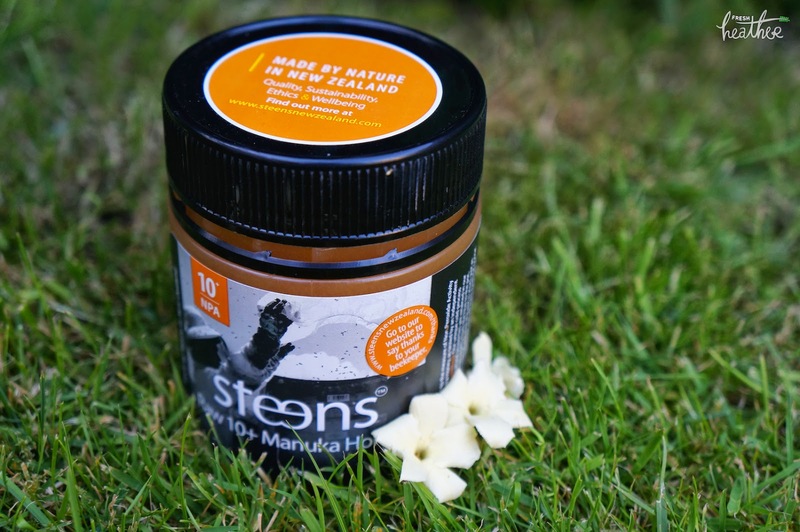 Steens is the worlds largest producer of Bio Active Manuka Honey in the world, harvesting from over 10,000 beehives across New Zealand. 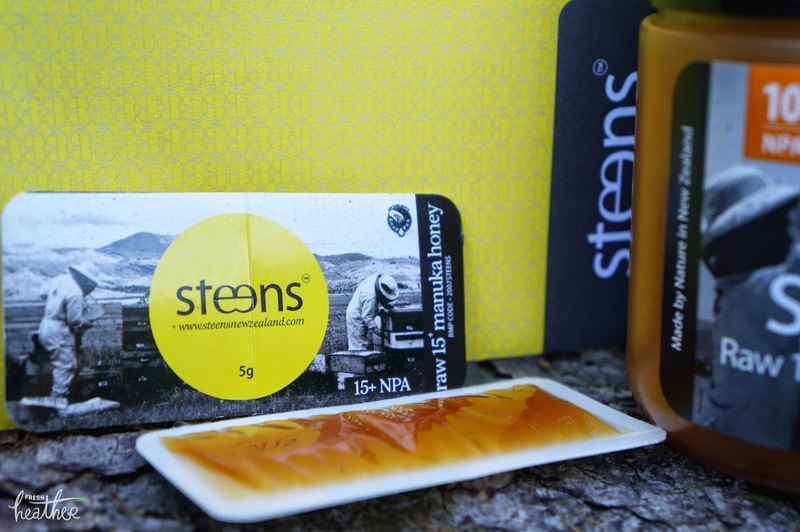 The honey is produced using cold-processing methods, keeping it in its raw state. 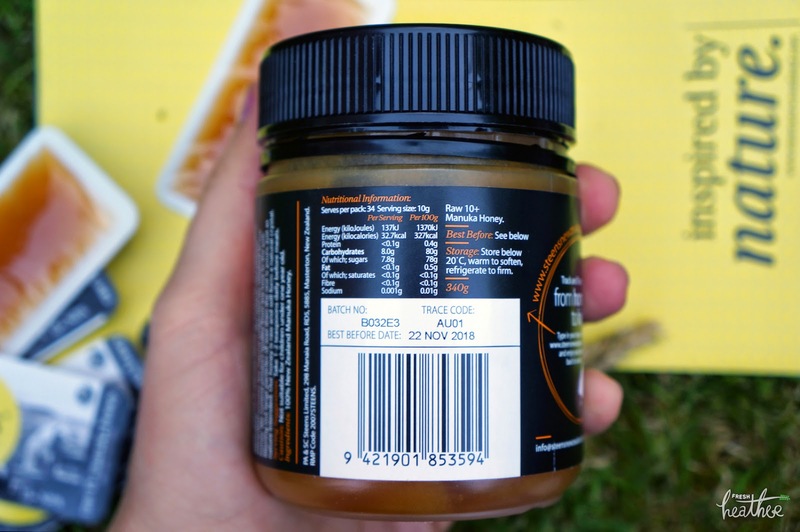 I am in love with the taste of this honey; it has such a unique flavour...literally golden. The texture is thick and grainy due to the fact that it is unprocessed. You really have to taste it for yourself! 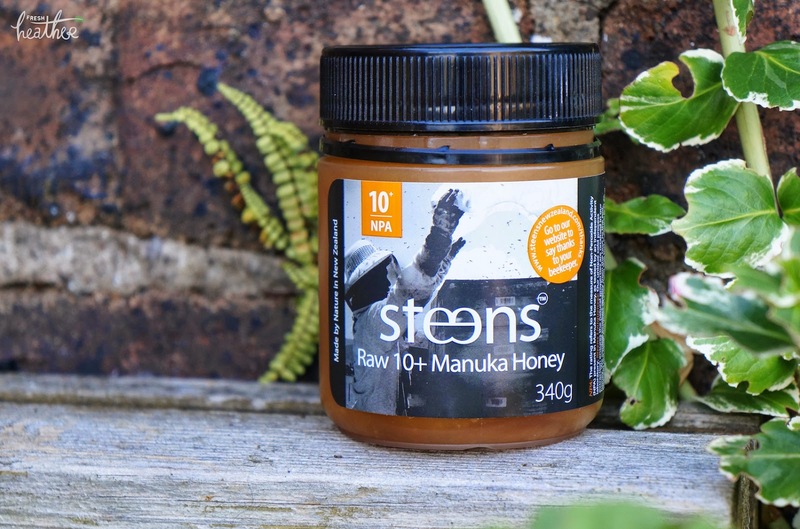 Steens claim that their "Manuka is harvested and extracted taking every care to bring you a medical grade honey that contains all its natural antibacterial properties not found in other honeys. It is highly sought after throughout the world for its effectiveness in assisting internal health and topical wound healing. Its potential as a potent antibiotic, anti-inflammatory and antioxidant effect on the body has a major role to play in health and well being." 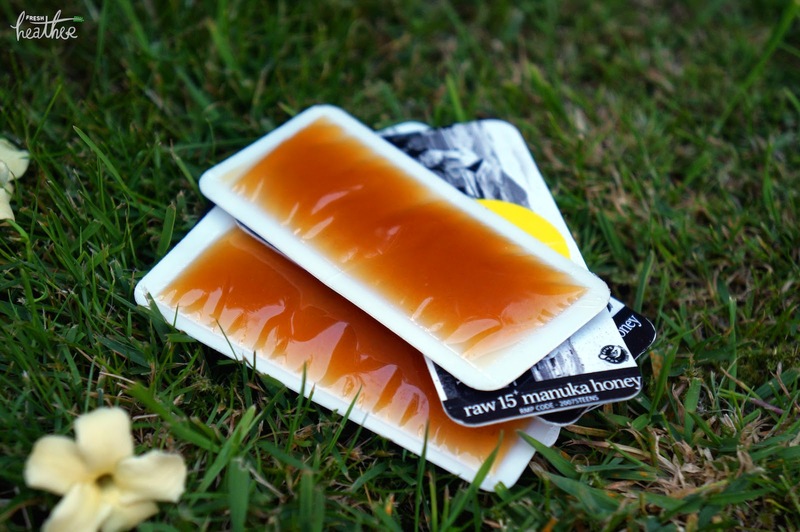 - Immunity: Manuka honey is well known to help fight off sore throats and colds as well as ulcers and cold sores. 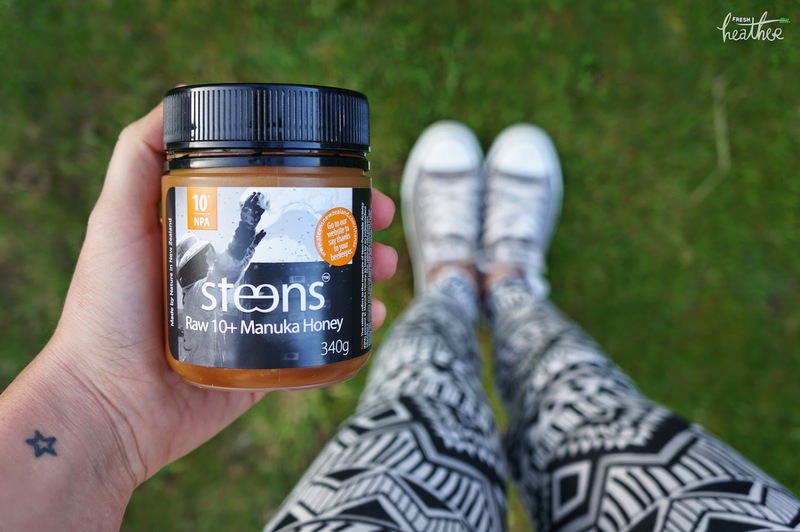 - Manuka honey is also well known to help reduce bloating, acid reflux, indigestion and IBS. 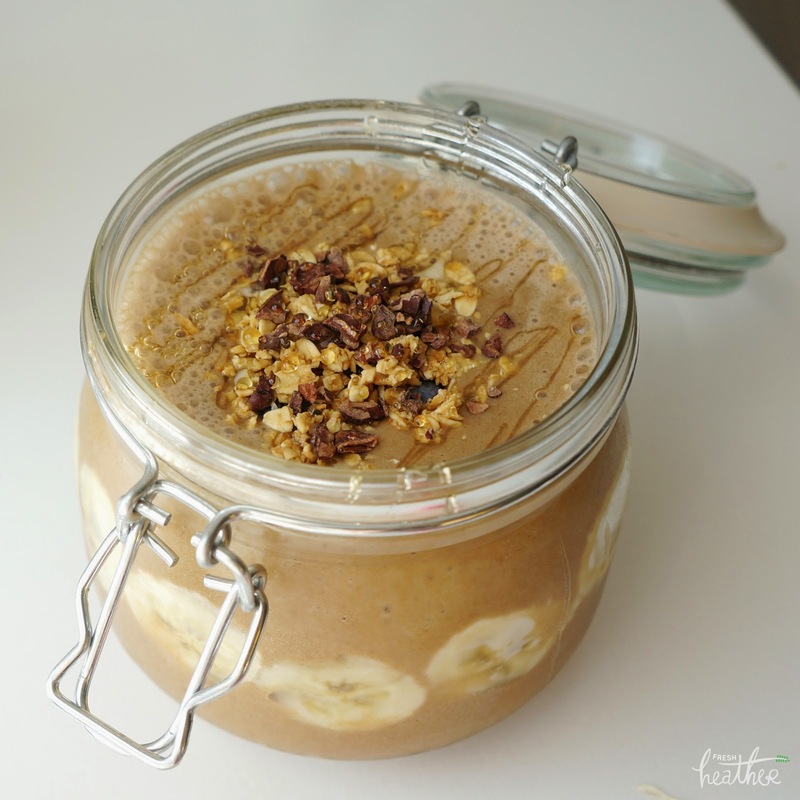 - Providing an energy boost from the sugar content. - Treating wounds: when the honey is applied directly to minor wounds and burns, it can help to heal them over time. • 5+ - This rating is recommended as a maintenance honey. (Not for therapeutic use). • 10+ - Is considered as maintenance for the immune system and daily treatment of digestive ailments. • 15+ - Is considered to be high in antibacterial levels and recommended for treatment of ulcers, strep throat, cold sores, digestion, burns, skin infections, cuts and abrasions. 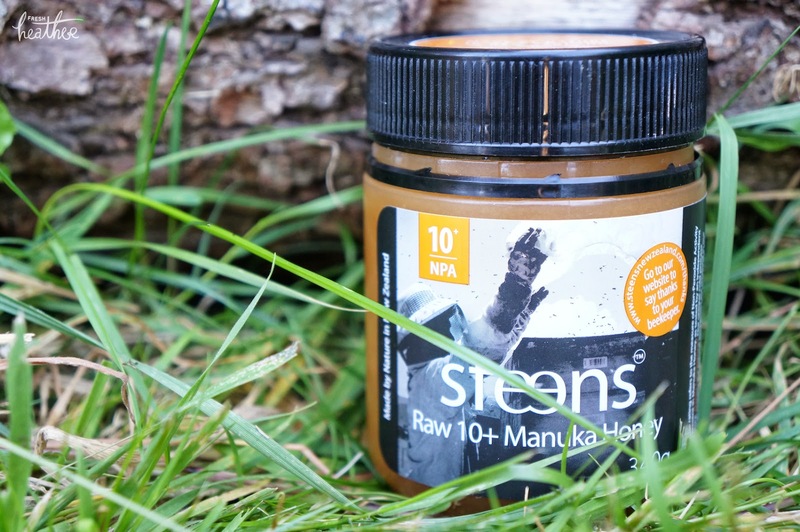 • 20+ and above - These are potent honey's with superior levels of activity. They are recommended for direct application for wound healing, such as burns, ulcers, pressure sores, staph infections (proving to be effective against MRSA). Perfect for digestive health, where smaller amounts of honey can be consumed due to its potency. 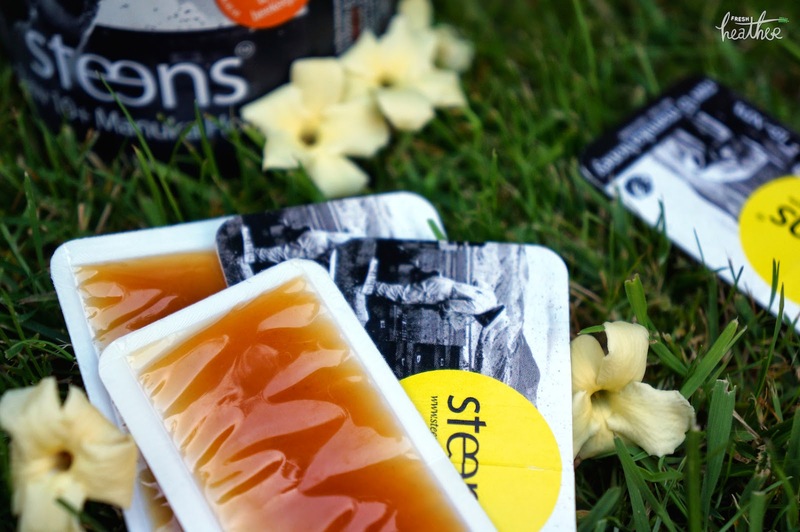 Steens also produce these cute little 5g pouches, so handy to take on the go! I normally pop one into my bag to take to uni (perfect to mix into a take-away coffee or to top porridge)! I also have one in my bathroom cabinet to apply to my skin when it breaks out (I'll talk more about that later in the post)! As I am a graphic designer, I HAVE to take a moment to mention the packaging! 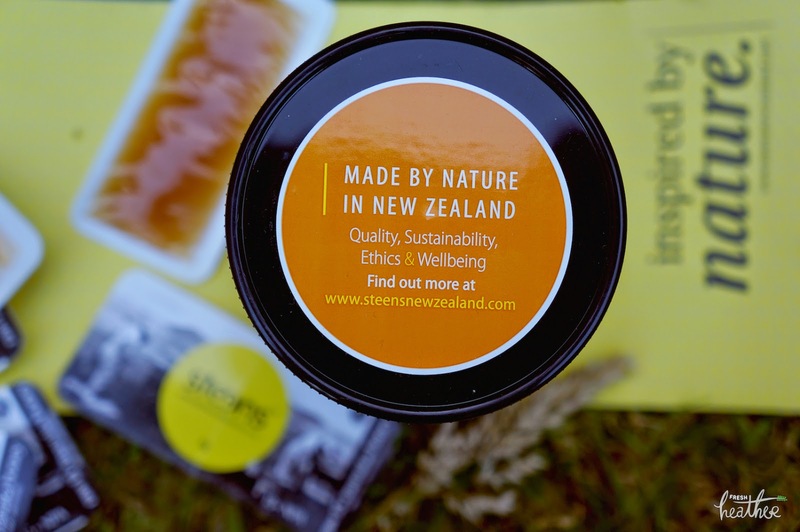 I love the imagery used on the pots and sachets and the colour scheme is perfect to highlight the golden honey. 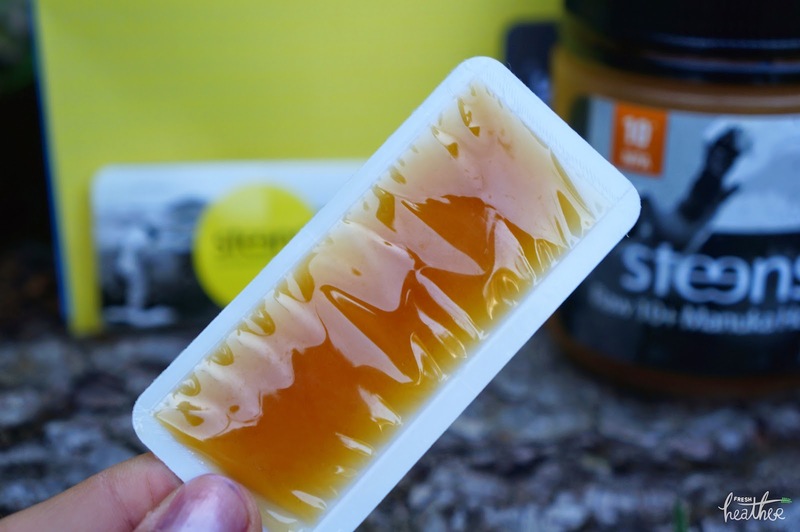 The little on-the-go sachets are also ingenious; the front has a slit down the middle to simply squeeze the honey out (making it so easy to get out every last precious drop)! 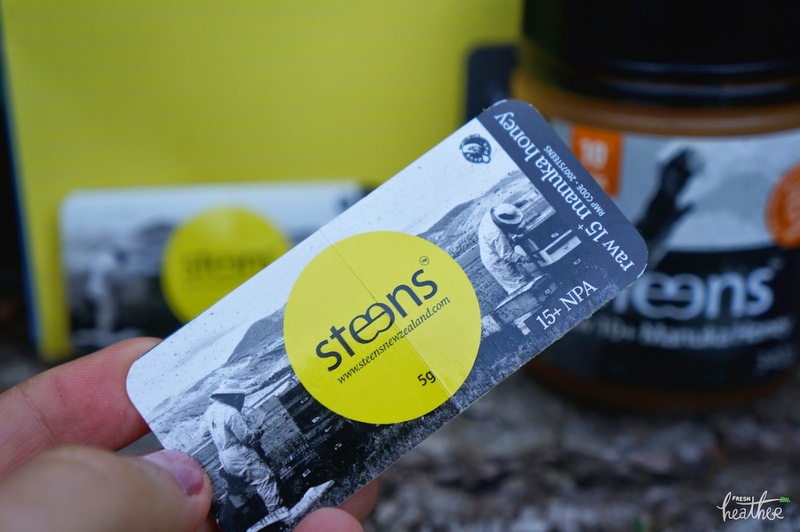 Steens use a hive tracking system to locate specifically where each pot of honey comes from. Mine is from Riversdale, NZ! 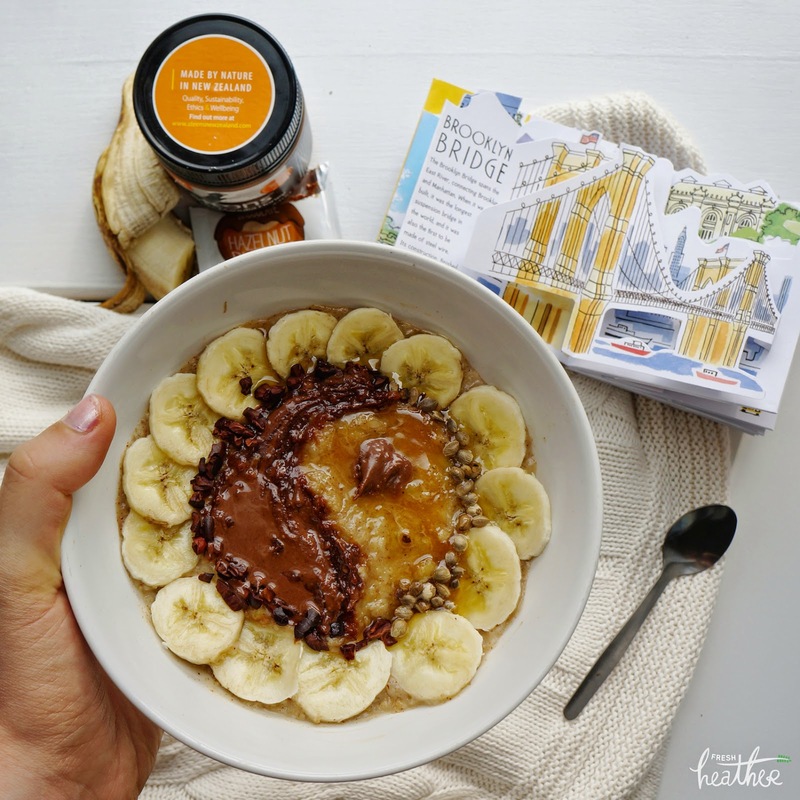 As a porridge topping for that perfect ying yang balance between nut butter and honey. 1. 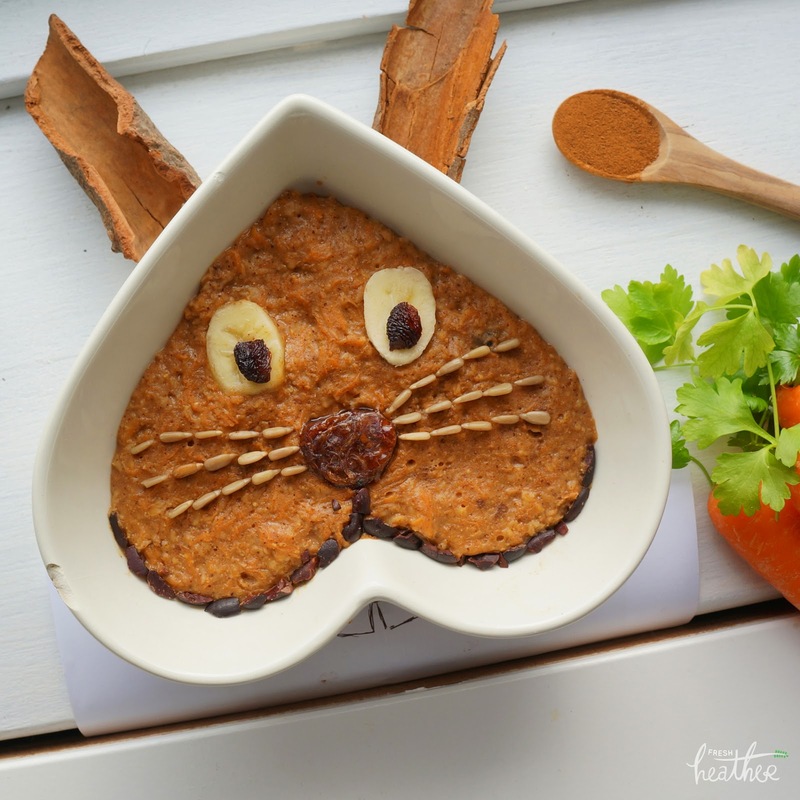 In a saucepan, combine 1/4 cup oats, 1 medium carrot (grated), 1 cup water, 1tsp cinnamon, a bit of nutmeg + cardamom powder (optional), 2-3tsp coconut sugar and a small handful of raisins. 2. Bring to the boil and stir continuously for 1 minute or so until the oats have cooked. 3. 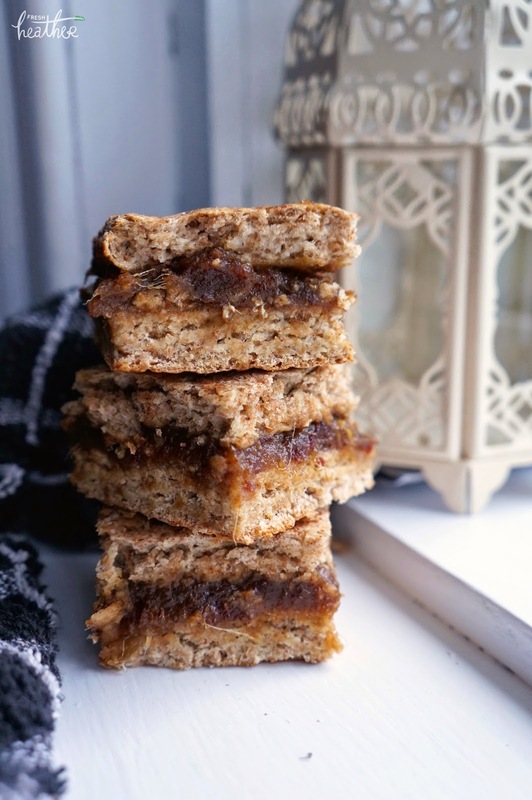 Once cooked and off the heat, I stirred in 1tsp organicburst maca and 1tbsp purplebalance vanilla vegan protein powder and 2tsp steens honey. 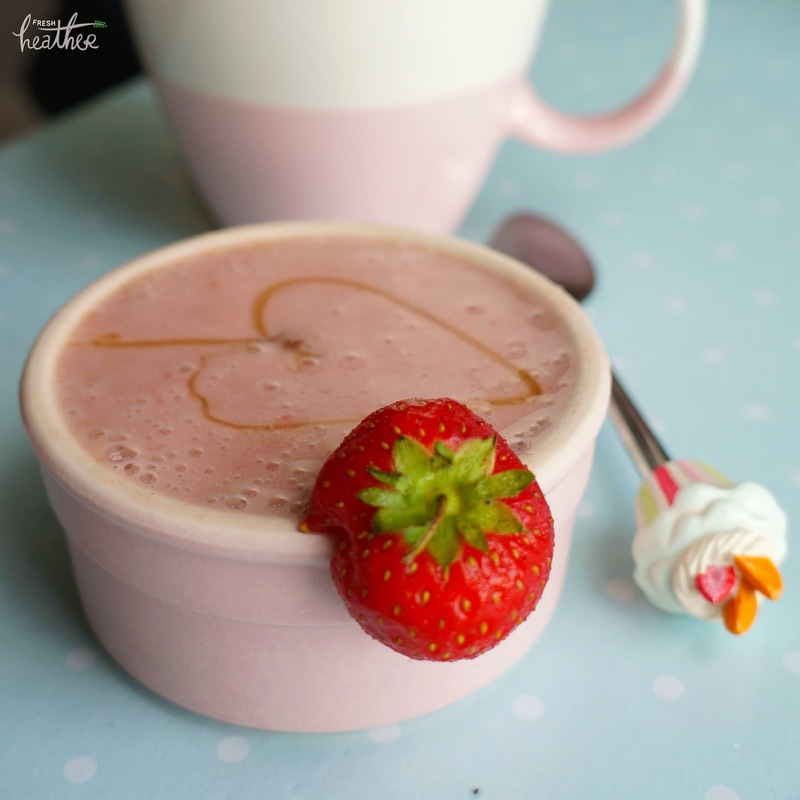 A mixture between a smoothie and nana ice cream ... homemade almond milk, 2 frozen bananas, a handful of fresh strawberries and a couple of dates. 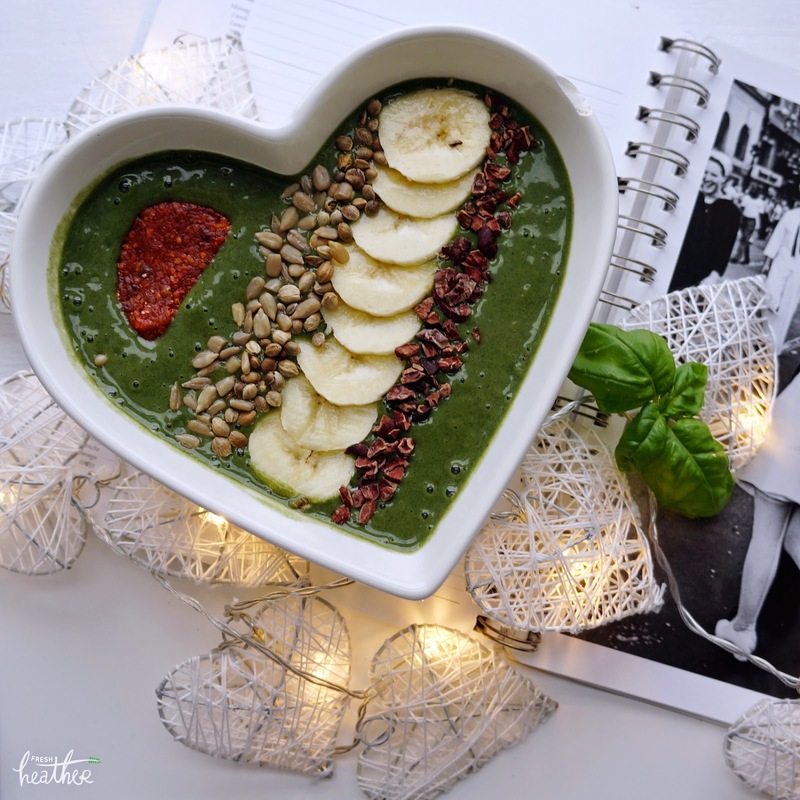 Green smoothie bowl-full of goodness! A handful of frozen grapes, 1 medium sliced frozen banana, 2/3 cup almond milk, 1 tbsp steens honey, 1tbsp sweet lucuma raw protein powder (with hemp protein, lucuma fruit, maca root, spirulina, wheat grass, barley grass and chlorella!) and 1tsp wheatgrass blended to perfection and topped with sliced banana, hemp seeds, cacao nibs, sunflower seeds and salami... haha (it's actually a piece of a purple balance goji berry vanilla bar in disguise...shhhh)! Preheat oven to 375F | 190C. Drain and rinse the chickpeas. Dry with a kitchen towel. 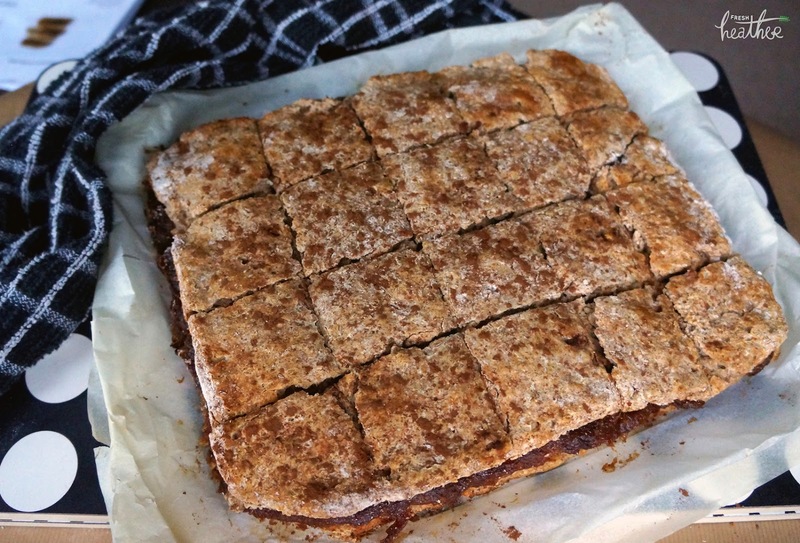 Spread onto a lined baking tray in a single layer; bake for 45 minutes until crispy, shaking half way through. 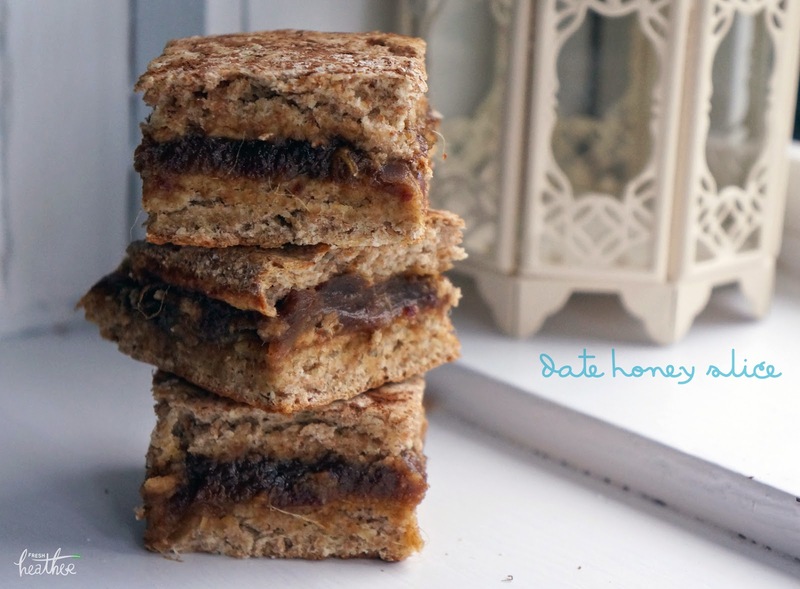 Mix together with the honey, oil, cinnamon, nutmeg and salt. 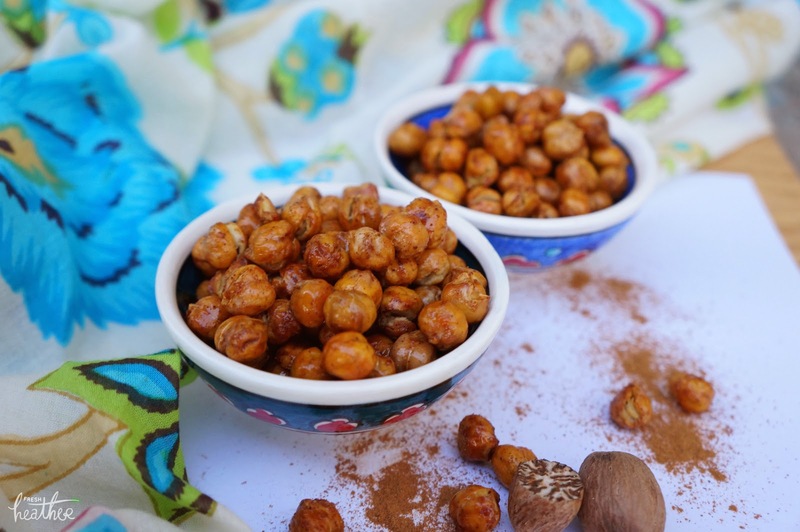 As soon as you take the chickpeas out of the oven, mix together with the honey mixture. Place back in the oven for another 10 minutes until caramelised and crispy! Store leftovers (which I doubt you will have) in an airtight container for up to 4 days. Place the dates, water and spices in a pan and bring to the boil. Simmer until the mixture is gooey. Leave to cool for a while before stirring in the honey. Mix together the dry ingredients and rub in the butter. Dissolve the honey in the milk and mix in to the flour mixture to form a dough. Divide the dough in half and roll out each section to rectangles (approx. 1cm thick), both the same shape and size. 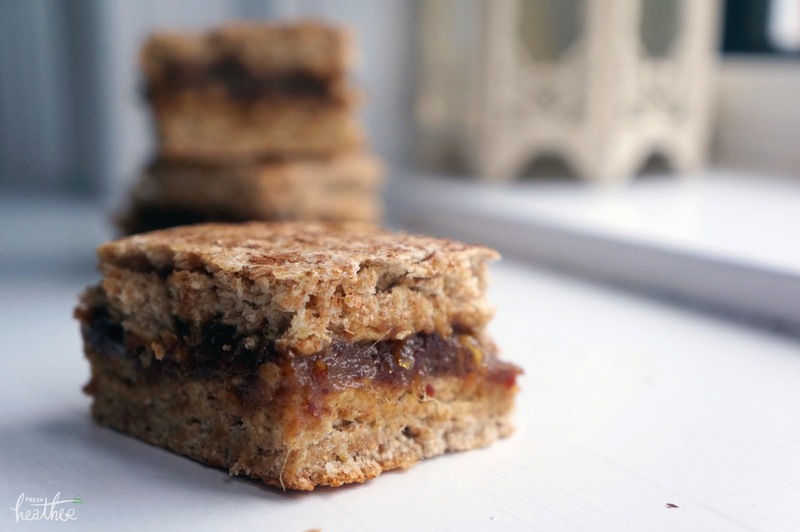 Spread the date filling and sandwich both pieces together and bake in a preheated oven at 210 C | 410 F for 10-15 minutes. I'll add some how to photos in tomorrow! 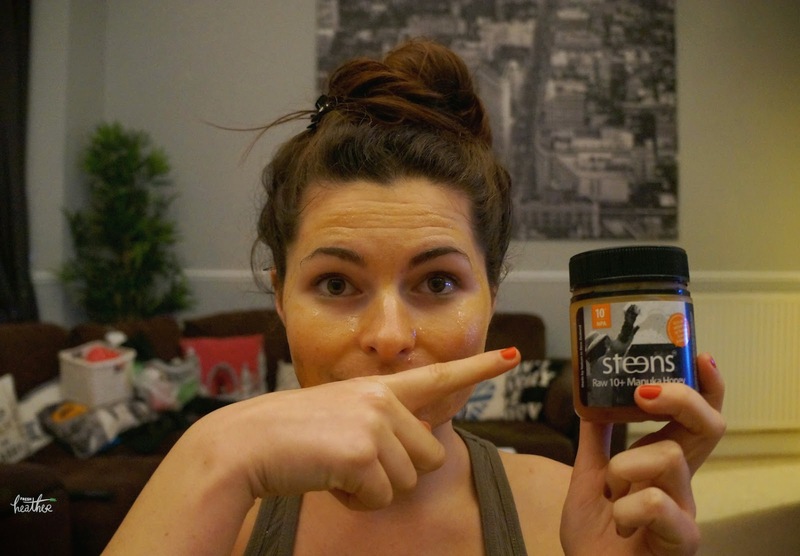 Honey is a natural humecant so it is perfect to use as a face mask! When applied directly, it helps to treat skin conditions (eczema, insect bites, burns, spots etc). Acid Peel: quarter a lemon and rub all over face. Leave on for 10 minutes before washing off with warm water. Scrub: wet your face and use bicarbonate of soda as an exfoliating scrub. Do this for 2-3 minutes before washing off with warm water. 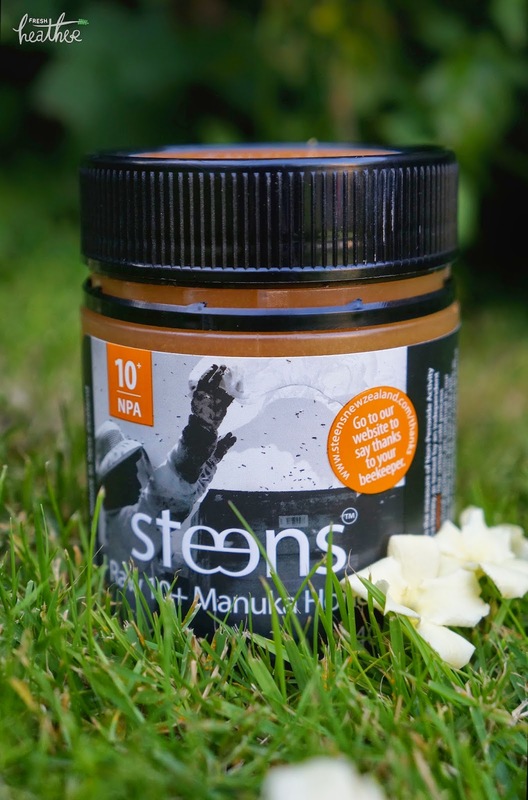 Apply Steens Manuka Honey (preferable 15+ or 20+ for the best effect) all over your face and leave on for 20 mins - 1 hour. Alternatively, apply to problem areas, cover with a plaster and leave on overnight. Anyway! That's all from me for now, no doubt I will be adding recipes to this post over the next couple of weeks! Let me know how you get on if you try any! 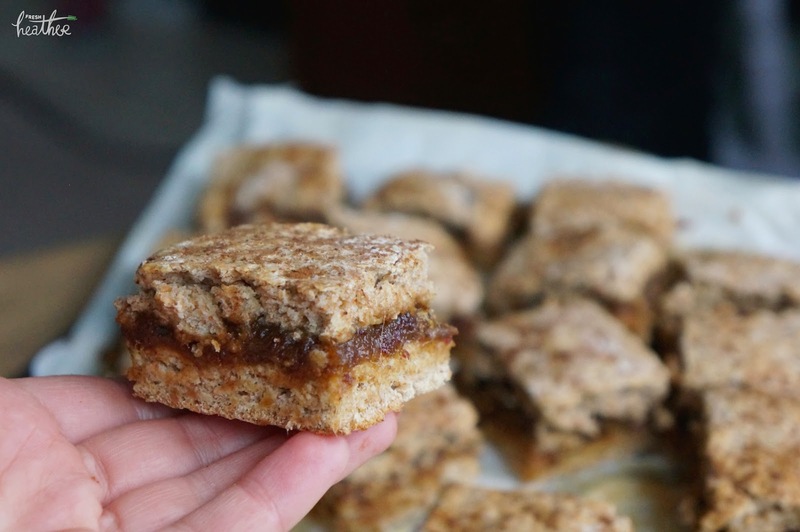 Beautiful blog....stunning photos and so nice to see such healthy recipes. Love it that you love our honey, it is so yummy. 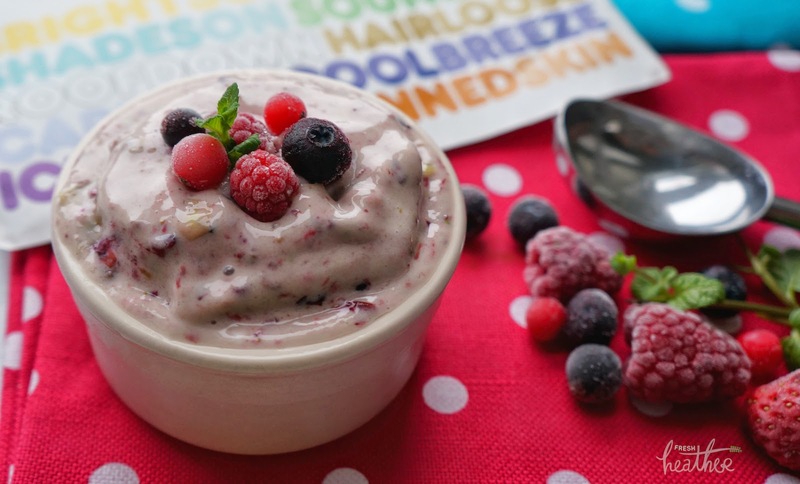 Makes us so happy putting it in pots to share with everyone....like sharing a pot of happiness and goodness!